If you have lived in a property for at least five years or so, chances are you will have its storage areas full of items you really don’t want around anymore. You can clear out your cluttered storage space fairly easily if you hire our HA3 rubbish removal company. 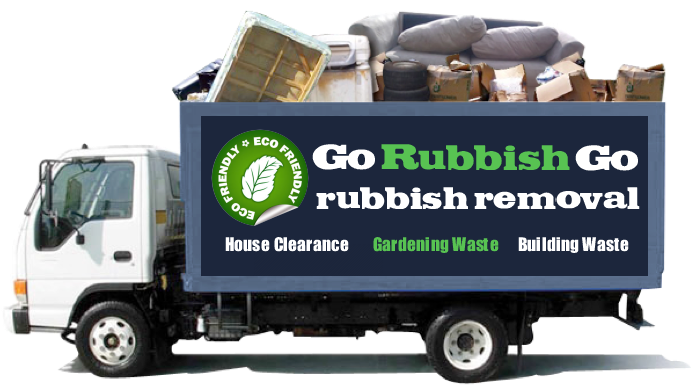 Go Rubbish Go is here to provide high quality waste clearance in Belmont at affordable prices. You can find out more about our prices and what we can do for you by making a phone call on 020 8610 9182. We will give you a free quote based on the details of your job. We are confident you won’t find a lower price for rubbish disposal services in the HA7 area! 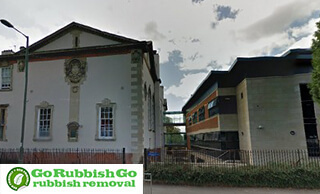 When it comes down to a good combination of affordability and professionalism, not all rubbish removal companies have it. We on the other hand have been around for a long time, so you can count on us to take care of your waste disposal in Belmont, HA3. In a market obsessed with quick profits we take a different approach, we understand the needs of our clients and the importance of building a positive relationship and trust that lasts the test of time. We know the need for affordable services is always relevant, so you can rely on us to provide just that, but with a high level of quality and professionalism. What Makes Us such a Great Belmont Waste Removal Company? If you happen to be looking for a single company that combines professionalism with great prices, then look no further than our company. With our many years of experience in taking care of quick and safe waste disposal jobs we have seen it all. You can rest assured we will provide you with the necessary help to pull off your decluttering and waste collection in HA3 with ease and professionalism. Give us a call today and get a free quotation! The more information you give us, the more accurate our answer will be in terms of price, vehicles and manpower and the time needed to get the job done. Contact us now and see for yourself! It takes a special kind of patience to dig through what would easily amount to a complete jumble of possessions accumulated over the course of 55 years. I dug through what I could, but ended up needing to throw out a lot of what my father left me hoarded up in the attic. The rubbish clearance was smooth and the company delivered just as they promised when I hired them. I will recommend them to my friends in Belmont, HA3 if they need such work done in the future. How is that possible? We have plenty of experience and knowledge needed for the job, with more than ten years completing rubbish clearance in Belmont for a wide range of clients. We work with companies and individuals alike, providing a high standard of service and using the equipment, vehicles and staff needed to make things work within the span of a single day. 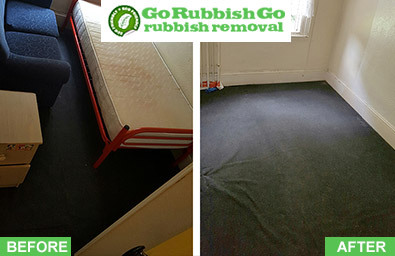 It doesn’t take much to make use of what we have to offer, as Go Rubbish Go is available on weekdays, weekends and holidays. Just dial 020 8610 9182 and we’ll be right over when you need us. 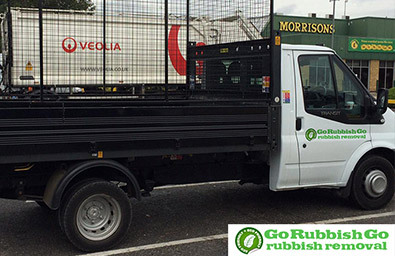 Hire us for rubbish disposal in HA3, Belmont we guarantee that you will save money! Do you have a veritable mountain of items stuck in a storage room, attic or basement? Are they so unsightly you want them gone, but you don’t know what you want to do with them yet? If that is the case then you are in urgent need of a good Belmont waste removal company to handle your rubbish clearance safely and easily. Call us on 020 8610 9182 and let us assist you in your hour of need. We will offer you a reliable free quote and will not surprise you with any hidden charges. 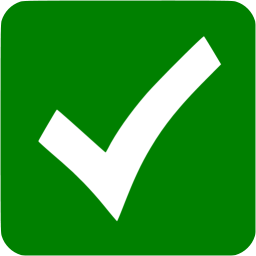 The number of items, as well as their materials and volume will dictate the final price. No matter how large or small the task may be, we can handle it. Find out more about our services and our recycling policy by contacting us right away! Belmont is a part of the London Borough of Harrow. It takes its name from the mound, which was constructed in the 18th century by the Earl of Carnarvon – Henry James Brydges. His summer house was built atop the mound because of the splendid view. Nowadays it is replaced by the Stanmore Golf Course. Places of interest include Belmont Circle which features food related outlets, bars and clubs. Another place worth mentioning is Belmont Community Hall which hosts lots of local event and activities. Belmont station used to serve the area but now the place is a car park. Neighbouring areas are Kenton, Harrow Weald, Wealdstone, and Queensbury.